The first time that I dealt with Chris McCandless was the last summer, watching the Sean Penn's movie. Surely I could not know that one year later I would talk with an opposite disposition towards his controversial personality. In fact in the first time I reacted with many of the critic thoughts of who is not a fan of the epic mission of this adventurous guy: he is totally immature, uselessly radical, pretentiously naive and arrogant. And I think it now too, but without the harshness of before. Krakauer has given me a more in-depth analysis of the boy and his journey (really well-executed) and I've used the occasion to deepen my reception of him. I feel very sorry for his death, but knowing that he died satisfied of his life and experience despite the bitter lesson given by the same beloved nature set my mind at rest. Sometimes I tend to be very hypercritical, but something stops me when I know that this or that person died happy of what he lived and done. What I could say in this case? I'm convinced that everybody is trying to realize himself in this brief life and if McCandless succeeded, I won't say to him a word. Because living is hard and I can't blame someone who has tried for real to follow those beautiful ambitions that every young person has inside him. It's like those men who want to become an astronaut or the new Indiana Jones and then end up in a office. Good for them if they will talk to me of reality, making ends meet and so on, and they are right. Life technically allows a large part of the dreams of everyone, but the necessary steps to achieve them can be very hard and we should consider that at least a 50 % is not even ready to make an effort, perservere for his personal "something more than a ordinary life". Life is intimidating, big decisions are intimidating. So the dreamer part of everybody usually will be relegated in the angles of a free evening destined to reveries, while "real life" has already defined us. 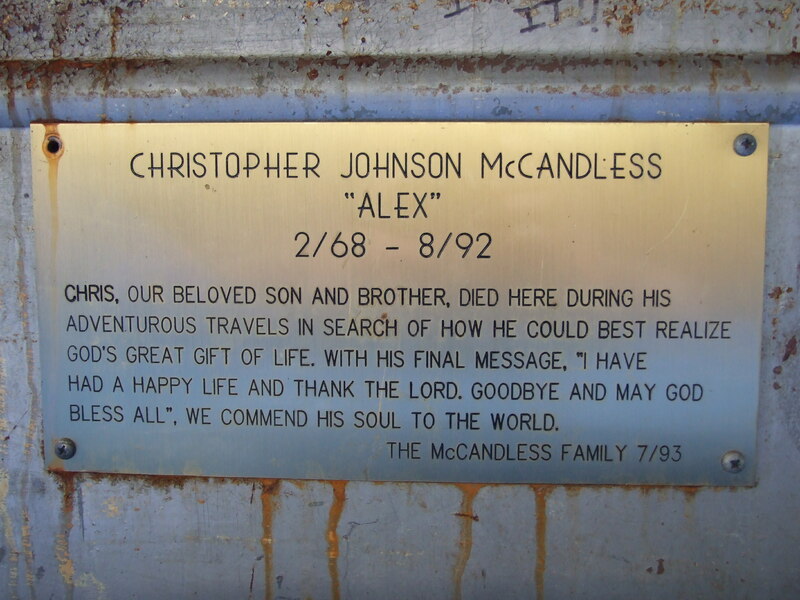 McCandless was a young boy with fresh ideals and ambitions and he was sufficiently determined to not be in that 50 %. 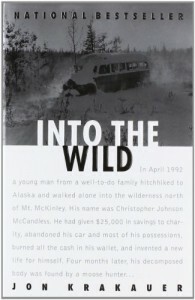 Surely a journey through "the wild" was not demanding so many sacrifices like the ones he did, but he was not looking simply for the wild, he was trying to live a much more idealistic relationship with nature, he wanted to feel maybe those romantics experiences of his literary models: Thoreau, Tolstoj's characters, and so on. So, yes, he has not accepted nothing that could ease his epic mission, not even a device with which he could have called for help in case of a really alarming situation. Naive, immature, but also typically young. He was the classic "young boy" against the corrupted society: he aspired to a radical living style in which society was cut off and he and her beloved nature were a only thing, he was seeing only the black and the white of a person with excessive criticism, an effective example, he truly believed that he should always say the truth, without compromises. He trully believed that he could live without compromises. Totally irrational, but..bold. He intended to do his epic mission and he really did it right to the end, he has been..tremendously coherent with himself, at cost of not hearing the good sense of others that were trying to redimensioning his project and saving his life. And in fact he died wretchedly of hunger in his beloved and wild Alaska, but...as I said..he died with an untouchable happiness. At least he has tried really to follow the child in us who dream big things for our promising life, he has paid with his life when it wasn't absolutely necessary, but now that all is done we can't turn back, knowing that regret didn't bury him is a big consolation.